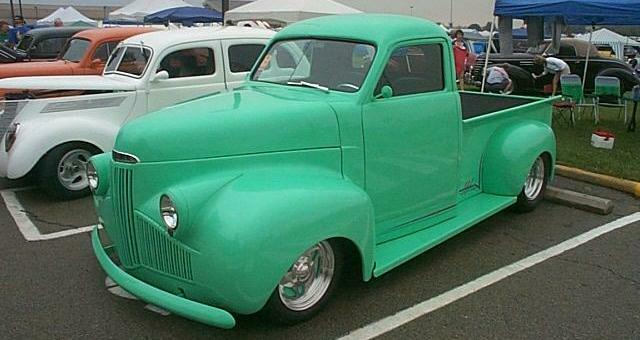 Featured here are two great Studebaker pickup truck street rods. Both pictures were taken by Ed Ebach at the NSRA Nationals in Louisville, Kentucky. Regular contributor Bill Junge forwarded the pictures. Bill has his own web site called Bullet Nose Paradise which is dedicated to 1950 and 1951 Bulletnose Studebakers. Both of these are great little trucks. I would be hard pressed to make a choice if I could have one of them. Thanks to both Ed and Bill for helping to keep this page in new material. 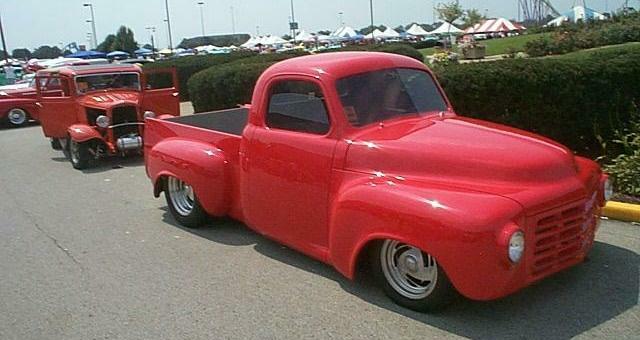 Steve Salisbury of Dothan, Alabama sent in this picture of his father's 1951 Studebaker Champion. The picture was taken in 1952 in Houlton, Maine. That's Steve's dad and his sister Elaine in the picture. 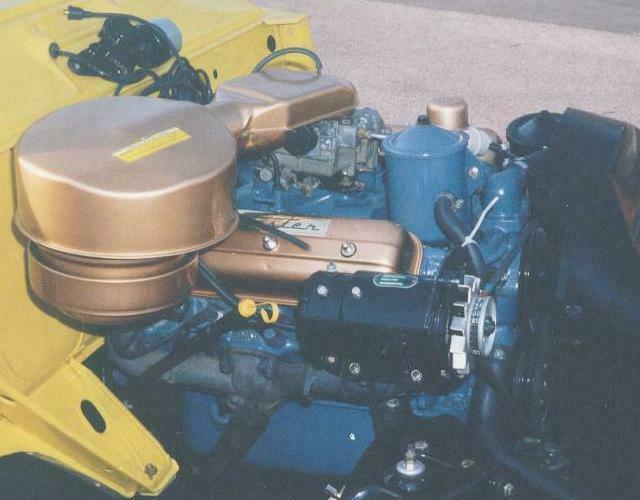 Steve relates that this was the first of several Studebakers owned by his father. 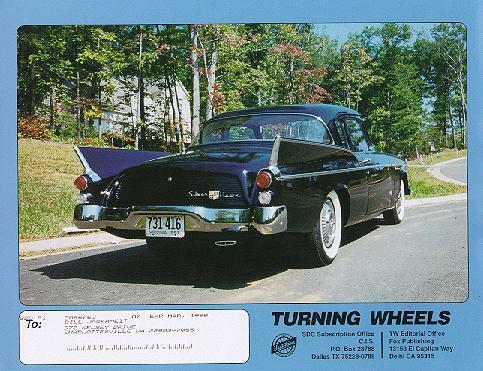 The Studebaker bug must have been passed down to Steve, who owns the 1956 Flight Hawk which appeared on this page last month. 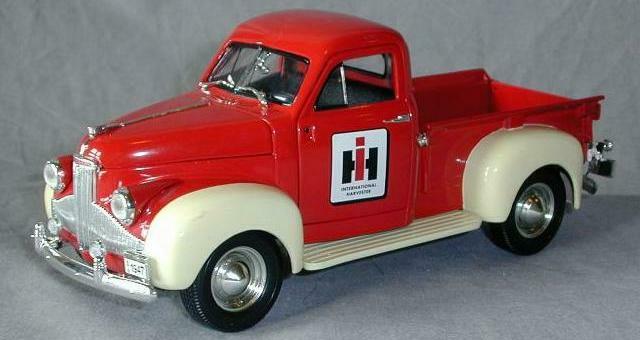 This is perhaps the best looking version of the 1:24 scale Ertl 1947 Studebaker pickup that has been issued to date. The two-tone red and off-white color scheme really look great! Other versions include Budwiser, Coors, Texaco, Mobil, and John Deere. At around $30, it is a wonderful heavy diecast model. To see more toy Studes, visit my Studebaker Toys Home Page.